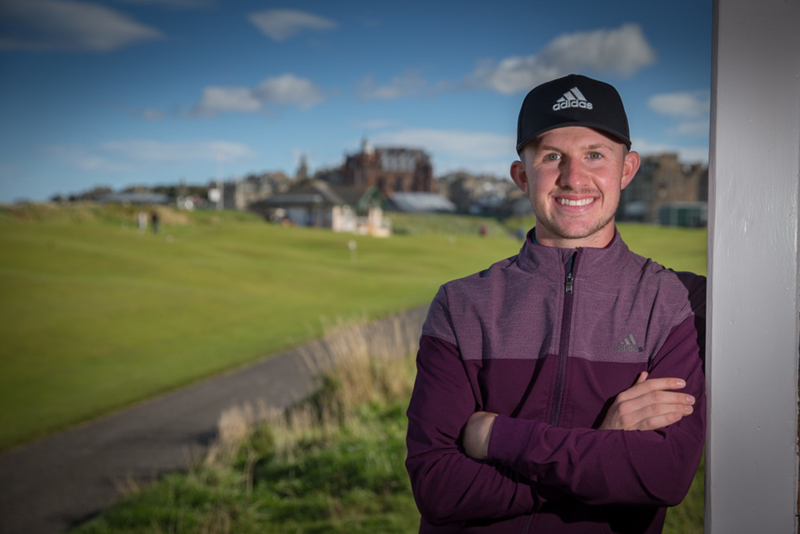 After turning professional in September 2017, Connor Syme pens deal to wear adidas headwear, apparel and footwear. adidas Golf, an industry leader in performance apparel and footwear, today announces the signing of Scottish golf professional Connor Syme. Connor has enjoyed a lucrative amateur career both as an individual and representing Scotland. He had a very strong boys career including helping Great Britain & Ireland lift the Jacques Leglise Trophy in 2013. In addition to many team successes, Connor reached the semi-finals of The Amateur Championship in 2014, he won the Australian Amateur Championships in 2016, reached the quarter finals of The U.S. Amateur in 2017, qualified to play in The Open Championship in 2017 and rounded off a great amateur record by being selected for The 46th Walker Cup Matches where he put in a stellar performance against the Americans. He finished his amateur career in the top ten in the world rankings. Connor was awarded Scottish Amateur Golfer of The Year for 2017 and began his professional career in great style in finishing tied 12th at the Portugal Masters in September, one of the best debut performances on The European Tour in recent years. Connor tees up this week at The Alfred Dunhill Links Championship. “I am absolutely honoured to be joining the adidas Golf family. I’ve loved the brand all my life and was proud to wear the three stripes whilst playing for Scottish Golf” said Connor. “The plans adidas Golf has for the brand in this new chapter is very exciting and I can’t wait to wear the new Tour 360 shoe I’ve heard so much about”. President of adidas Golf, Jeff Lienhart, said of the signing, “At adidas Golf we are always on the lookout for that next special golfer to break from the amateur ranks, and we have that with Connor. He is an incredible talent and one we are proud to have as part of our stable. We are looking forward to working together as a team and we are excited to see what the future holds”. This signing sees Connor join an already impressive stable of professionals including world number one Dustin Johnson, Masters Champion Sergio Garcia, former US Open Champion Justin Rose and rookie superstar Jon Rahm.